Selling a house in the current market can be tricky, but there are certain mistakes an owner can make that will cause a New York, New Jersey or Connecticut home to sit still without a decent offer and cause the listing to go stale. While your home may hold sentimental value, many times that value does not translate into dollars. Be realistic about your asking price and know the details about your current market. Look at the list price of similar houses on the market to get a rough idea of what you should ask for your property. 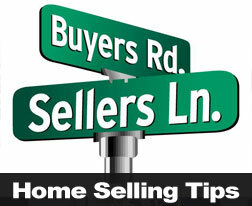 Make special note of the actual closing sales price as well as the time on market and listing to sales price ratio. A licensed real estate agent can provide these details as well as give you their expert opinion based on experience and comparable properties. Glaring problems with a property will cause the buyer to think the home was not properly maintained. While it may cost some money, repairing things like holes in the walls, broken light fixtures or missing tiles can change a buyer’s entire attitude about a property. Ask for help if you aren’t comfortable doing these things yourself. A real estate professional will have a whole list of qualified referrals who they trust to help you get things fixed up. Overgrown and unweeded yards can cause potential buyers to drive right by. Also, having junk in the front of your house or peeling paint can deter someone from considering the property. Step across the street and take an honest look at your house – and then make necessary adjustments. Fixing these items may be as easy as one weekend day of clean up and a little elbow grease. And even though it’s not expensive to fix these issues, it can make thousands of dollars difference in the sale of your home. Odorous foods, pet dander and the smell of smoke can be extremely distasteful to buyers. Even if you are used to the smell, others entering your house will not be. Make sure you air out the house, smoke only outdoors, and put away the litter boxes before an open house or showing. Also, ask someone who isn’t at your home often to come in and give it a smell test. Brutal honesty here might hurt a little bit, but it’s a lot better than allowing this problem to prevent a quicker sale of your home. Without even realizing they’re sabotaging a potential sale, homeowners can make several mistakes when first trying to sell their home. To find out what you can do to make your property really stand out to potential buyers, please call Approved Funding. While we are not licensed Real Estate Brokers or Realtors, we have first hand current access and information that can help you sell your home faster and at a better price than you could going through this process and experience on your own.